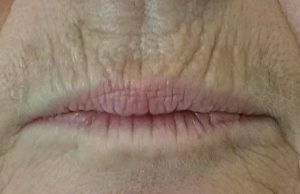 FILORGA dermal filler used for the smoker lines (also called barcode lines, they are the vertical wrinkles above the upper lip) , treatment performed at Make Me Feel by Dr TL. 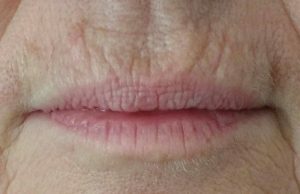 The vertical lines are reduced and the volume is more harmonious, which also give the upper lip a nice shape, though the lip itself has not been directly treated. The “after” picture was taken just after the procedure and the skin will smooth out a bit further after a few days.